Captain America. Wolverine. Spider-Man. There’s nobody you’d want to have your back more than this trio of mighty Avengers. 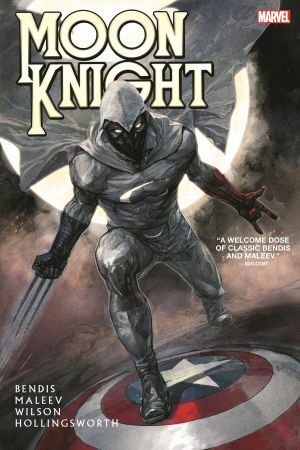 So who better for Moon Knight to call upon to lend a hand? The trouble is, they’re all in Moon Knight’s head — the latest splinters of Marc Spector’s shattered psyche! And as Spector battles his own mind to find balance in his new home of Los Angeles, a powerful criminal mastermind makes his deadly move — trafficking Ultron’s temporarily inert robot body! 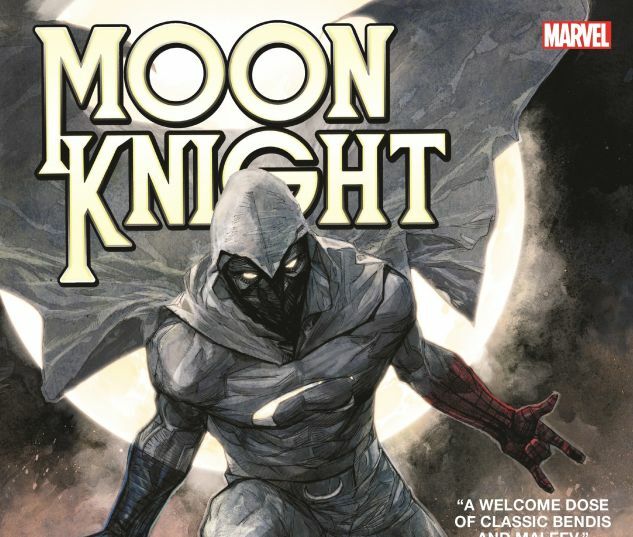 Can Moon Knight get his act together in time to take on this deadly threat — or is he way out of his league? Brian Michael Bendis and Alex Maleev, who wowed readers with DAREDEVIL, reunite to deliver a unique take on another fan-favorite Marvel vigilante! Collecting MOON KNIGHT (2011) #1-12.